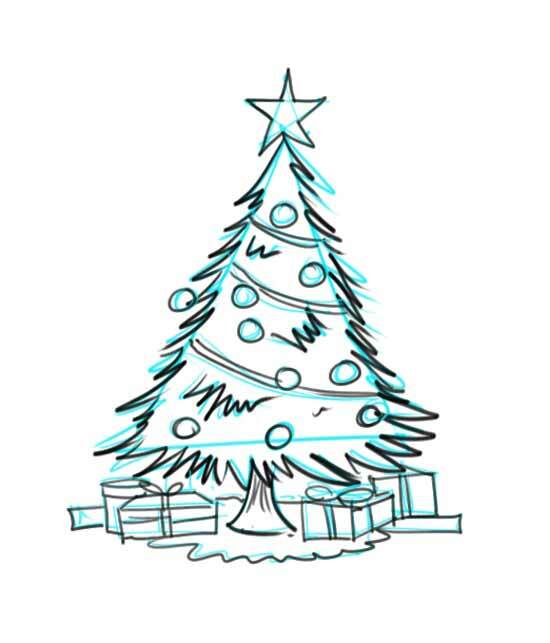 Wondering how to get started drawing a Christmas tree? I wondered the same thing. 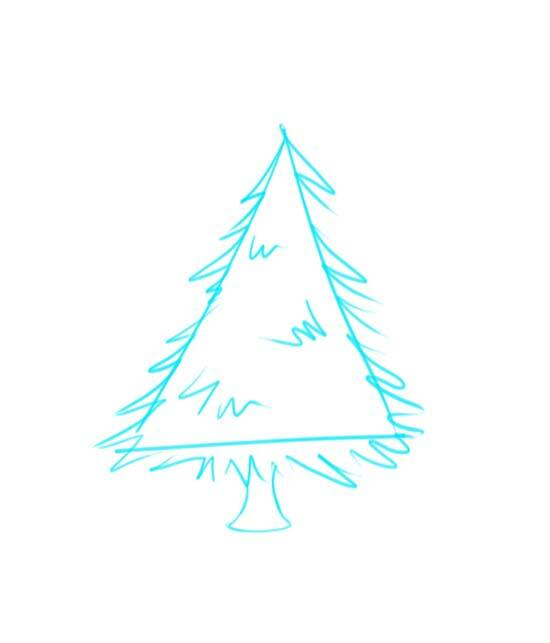 I had to figure out how to draw a Christmas tree because I wanted to make Christmas cards. I once submitted artwork to Hallmark cards hoping they would use my artwork of a Christmas tree and of Santa's dog to make some cards. They kindly sent me a letter saying they were going to review my card ideas, but eventually they sent me a another letter saying they would not be able to use the artwork "at this time." I did not let that stop me, I just kept on drawing, and although they still had not called me back. I knew I wanted be an artist anyway. I wanted to be an artist for a living and also for the fun of it. How about you? Now back to the tree. 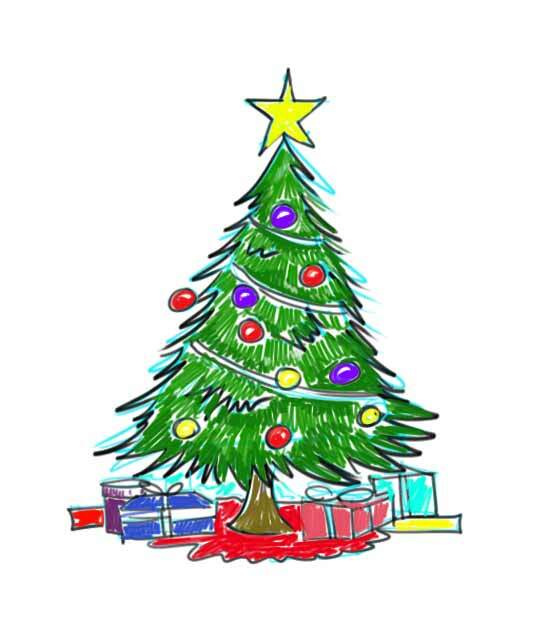 A Christmas tree is shaped like a cone. It is round at the bottom and pointy at the top. From the side it looks like a triangle. I imagine you already knew that though. The tough part is the part between the top and the bottom. How do you draw branches? How do you draw the garland? How do you draw the Christmas ornaments? And most especially, how do you draw the Christmas presents. After all, It's all the stuff on the Christmas tree and under it that makes it a "Christmas Tree." Otherwise It's just a tree isn't it? 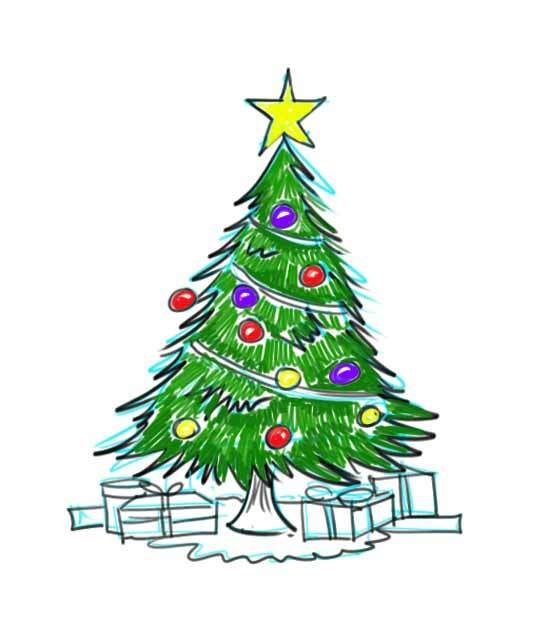 We also need to consider what kind of Christmas tree we will draw. I grew up usually having a blue spruce tree for our Christmas. I recall one year when my dad brought home a live tree for Christmas. It was pretty small and we only kept it in the house for about 3 days. Dad did not want to have to deal with watering the root ball while the tree was on the carpet in the living room. We planted that tree outside by the garage and it grew to over 38 feet high. It was a beautiful tree and each year I would notice how it had grown. In a way it helped me measure the years. We kind off grew up together, that tree and I. Are you ready to learn how to draw a Christmas tree! Well follow these steps and you'll be drawing trees good enough to be held in review by Hallmark Cards! Perhaps one day I will be buying a Christmas card drawn by you! By the way Hallmark, I am still waiting for your call. 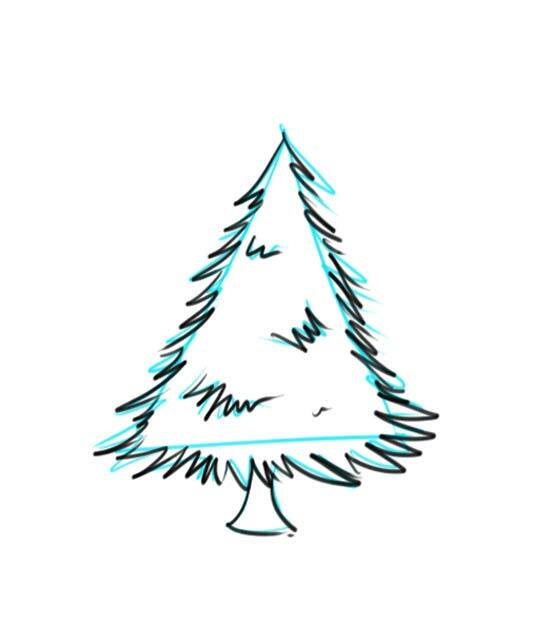 Now let's get started with "How to Draw a Christmas Tree." 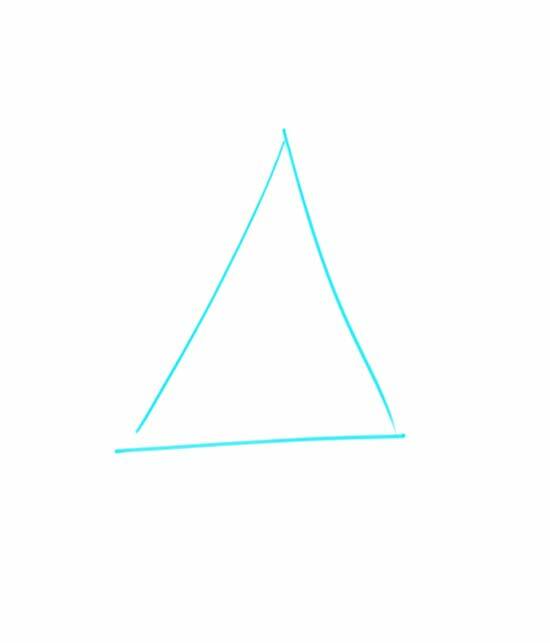 Draw a tall triangle to establish the basic shape of your tree. Now draw jaggy triangles off the sides and bottom of the tree. Begin to round out the bottom edge and add a couple of curves for the tree trunk. Outline your tree with a marker, pen, or dark pencil. "How to draw a Christmas tree's decorations!" Sketch in the decortions. The star can be bit tricky. Its made of 5 points. If you think of clock's minute hand, the points are at 0, 12, 24, 36, and 48 minutes. See How to Draw a Star Also draw some presents underneath your tree. You can draw as many for yourself as youlike. It's your drawing after all! Outline your decorations and presents. 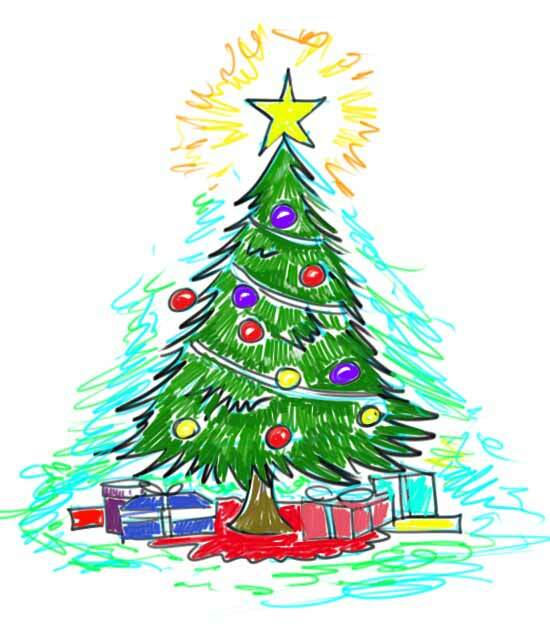 Color in your Christmas tree drawing. Leave a little white spot on the decorations for a highlight. When you color the green, make your marks count. The strokes should flow in a way that helps represent the branches. Add some slightly darker green and fill in some of the white areas under the decorations to give a little depth and shadow. Time to color the presents...Oh I can't to open them!. As a finishing touch, you may want to surround your tree with a fresh holiday glow. Feel free to be loose and scribbly to add energy to your drawing. Make interesting marks! "How to Draw a Christmas Tree!"